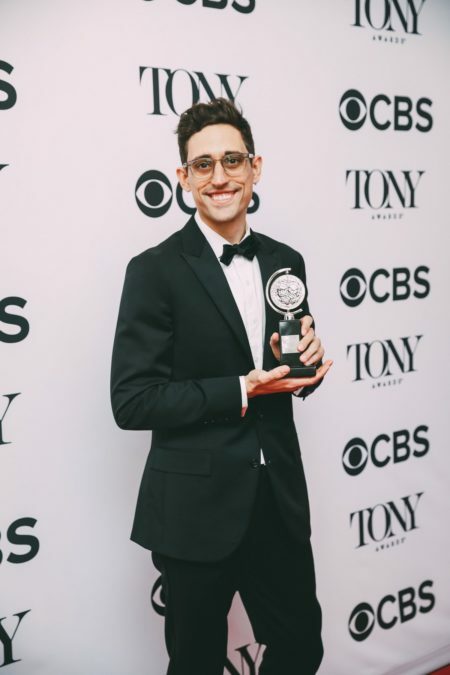 Tony-winning choreographer Justin Peck has joined the production team of the new film version of the Broadway musical West Side Story, to be directed by Oscar winner Steven Spielberg. Peck, the resident choreographer and a soloist dancer with the New York City Ballet, won a 2018 Tony Award for his choreography in the Broadway revival of Carousel. "This is a total dream come true," said Peck in a statement. "Getting a chance to work alongside such an illustrious and inspiring team to present a West Side Story for today's audience is something I never imagined I would experience. The original West Side Story was one of the guiding forces that led me to dance in the first place, so I feel very honored on a deeply personal level." Peck has danced the role of Bernardo in Robbins' ballet West Side Story Suite, and this past spring he choreographed the Leonard Bernstein piece Prelude, Fugue and Riffs for the New York City Ballet. His Tony-winning work on Carousel marked his Broadway debut. As previously announced, Tony and Pulitzer Prize winner Tony Kushner has written the adaptation of the 1957 musical originally written by Arthur Laurents and Stephen Sondheim with music by Leonard Bernstein, and concept, direction and choreography by Jerome Robbins. An unrelated stage revival of West Side Story, directed by Tony winner Ivo van Hove and choreographed by Anne Teresa De Keersmaeker, is slated to premiere on Broadway in 2020.